I hope you will agree when I say it is no easy thing to choose the perfect laptop for you, right? Everyone searches for the ‘best’ laptop. However, no laptop is unanimously best. It all boils down to your needs. That is why in today’s article, I will give you a complete buyer’s guide on laptops. In this guide, I will talk about every little detail you need to know before you buy a laptop. So, read along to find out. Let us look at the key points that you need to consider before you go out there and buy yourself a new laptop. There are a variety of laptops out there in the market. These are called notebooks, netbooks, ultrabooks, and hybrid laptops. These laptops are designed with the primary focus on performance. They tend to be on the heavier side of the spectrum, however still very much portable. These are the ideal device for the serious users and gamers. Netbooks are meant to give you better portability. They usually are smaller in size. The laptops have less RAM, so the number of sophisticated applications you can run will be a few. Ultrabooks have way better processing power than a conventional netbook. However, they lack the ports and disk drives. As a result, they tend to be sleeker and more portable than netbooks. These laptops have a detachable touchscreen monitor that can be used as a tablet as well. They are also called ‘Convertibles.’ It is best suited for people who want the power of a laptop along with the convenience of a tablet. The processor is the ‘brain’ of the laptop. It is a small chip that literally runs every single operation of your laptop. The choice of a processor is very crucial when making a buying decision. The two brands dominating the market of processors are Intel and AMD. Intel processors usually give better performance than AMD ones. Intel processors are designated as their ‘Core series.’ These are the most popular processors out there. 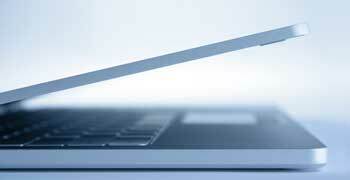 Core i7: These are the best processor till date for the laptop users. It gives you the freedom to multitask, saves battery, generates clear pictures. Core i7 processor is the perfect one for heavy workers and users that love serious multitasking. 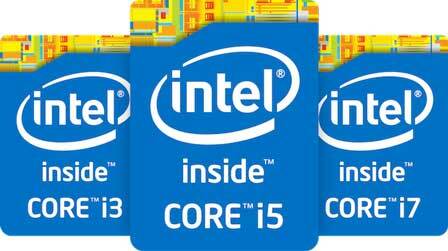 Core i5: The Core i5 processor falls in the middle of the spectrum. It is more than good to handle most tasks, and it multitasks well. Core i3: This is the processor that is the choice of the beginners. It can effortlessly tackle all the basic computer work. Other than these three, two other variations of Intel processors are Pentium and Celeron. These are often seen on the budget laptops. The processor can handle basic tasks with decency, however, can not give a competition with the Core series. AMD processors are categorized into two different categories, A-series and FX. A10: It is the flagship chip of AMD. It delivers quad-core speed along with amazing graphics. A8: The processor is best for tackling 3D gaming on HD picture quality. A6: The A6 is designed specifically to give better video streaming experience and improved picture quality. A4: It does well in music, picture, and video performances. FX: The FX is best suited for gaming enthusiasts, professional programmers, and graphic designers. Consider all these possibilities and pick the best one as per your needs. The Operating System or OS is the one responsible for the management of all the hardware and software of a laptop. They also provide the general services that any software needs. There are five operating systems are ruling the market right now. These are Mac OS, Windows OS, Linux OS, DOS, and Chrome OS. All the applications are virus and malware free as they are designed by Apple. However, this limits your choice of applications. Think about what you want as an operating system and then make a final decision on buying. RAM (Random Access Memory) enables you to do multitasking with ease. All the work, including surfing the web and downloading and opening larger files are easier with more RAM. If you wish to do only the basic work such as surfing the net, checking on social media, emailing, and watch videos, then 4 GB RAM is good enough to carry out the tasks. If you want to do some audio and video editing, along with the aforementioned tasks, then 8 GB RAM can handle that for you. If you are a video or audio editor by profession, or a serious programmer, a serious gamer, then look for 12 GB or more of RAM for your laptop. Consider what screen size you want for your needs. This will make an impact on your buying decision. If you want to watch videos or movies, or play games, go for a laptop ith 14″ or larger screen. On the other hand, if you want better portability, look for laptops with a smaller screen size. Also, consider the aspect ratio of the screen. The aspect ratio is the ratio of the width and height of the screen. 16:9 is the most common aspect ratio found in laptops. This is great for watching movies, play games, and for video editing, and graphic designing. Other screen aspect ratios such as 4:3 or 5:4 is somewhat of a square display. Give a good amount of thought on the storage space. Every laptop has a storage space ranging from 60 GB to 1.5 TB. This is where all the files are being stored. The more space you need, the higher the price goes up. Also, there are two different types of storage, HDD or Hard Disk Drive, and SSD or Solid State Drive. Usually, SSDs give a far better performance, are more durable, consumes less power. On the other hand, HDDs offer more storage space. The graphics card provides display quality on laptops. It is best suited for gamers, video editors, programmers, and professional users. Two kinds of graphics card rule the market, integrated and dedicated. Integrated graphics card are manufactured into the system mainboard, and the dedicated ones are separate units that have been connected to the mainboard later. Dedicated graphics cards perform better than the integrated ones. So, if you are a basic user, you can get away with an integrated one. However, look for dedicated ones that are up to 3 GB of graphics memory if you are a professional user, a video editor, or a serious gamer. As with every other purchase, that you will ever make, you have to consider your budget. Are you on a tight budget? Or can you get away with spending some more money? This will impact your buying decision to a great extent. There are laptops in every segment and with different price tags. Think about your needs, fix your budget, and get along with buying. This is where the article ends. I hope it was enjoyable and helpful. Thank you for reading!